… the large shopper tote! 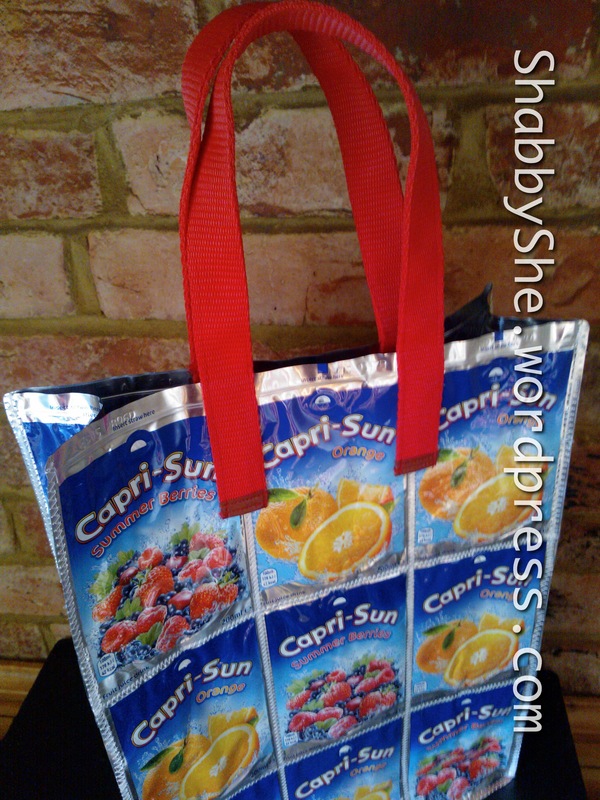 This beauty uses 27 recycled juice pouches in its construction and I designed it to carry the heavy shopping in the War on Plastic Bags! I’m really pleased with the result. This one is not going in my Etsy shop (at least for now!) 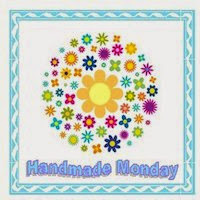 as I am doing my first “proper” craft fair at the end of this month. If you’re in the Camberley area, do pop along to Market Mall in High Cross Church on 28th March and say hello! Very, very creative and a great way to cut down on plastic bags. I’m all for recycling where possible and this is a great use for something that would otherwise be thrown in the bin. Great fun:) The red webbing really complements it. 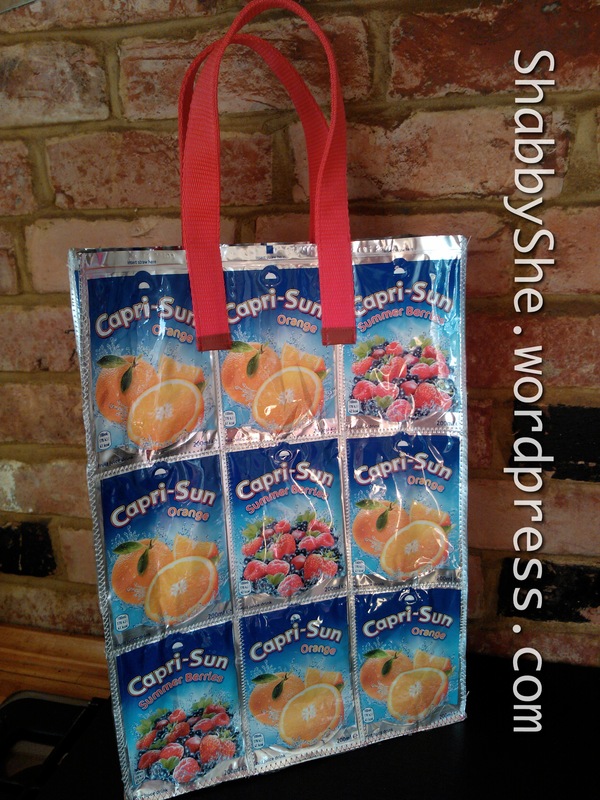 If only I drank Capri Sun!! What a fantastic idea. I’m sure they would be great for frozen food (keeping them cold) as well as heavy items. 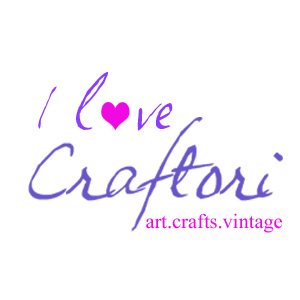 Good luck with the craft fair. 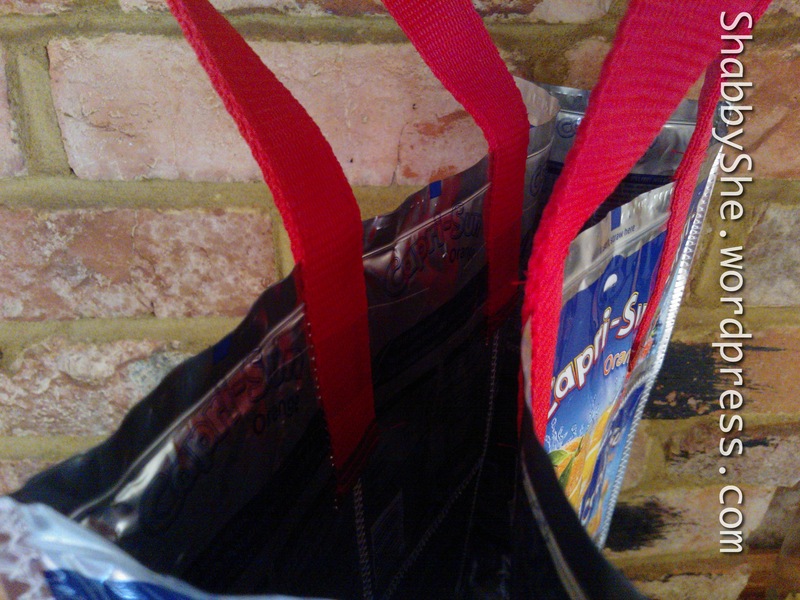 The bag is fabulous, such a great way to recycle the cartons. 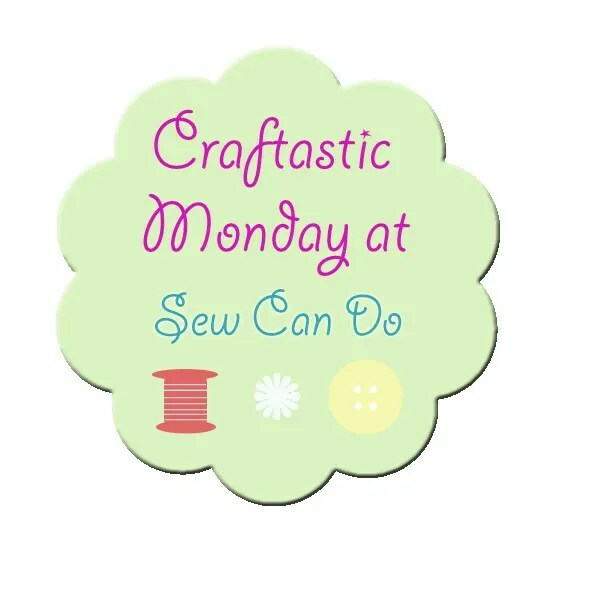 Fantastic, thanks so much for sharing on craft schooling Sunday! Fantastic bag, I love it! Love it. A fun and creative bit of recycling.